Joanna of Musings from My Daily Life fame, has written her first book. 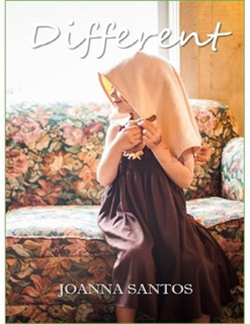 Titled Different, it is now available from Lulu. Joanna's book is about her "observations on growing up transgender, how to grapple with it and come to self-acceptance, some gender theory and understanding cross gender arousal." She also writes about her "experiences in public as well as some tips and pointers as to best blend in when out in the world and just plain being yourself." Suzy wrote, "I went in to have my driver’s license renewed as Suzy with a nice dress, hair, and makeup. Now my license says male, but the picture portrays my inner self." Suzy lives in Ohio near Dayton and her experience is in contrast to the experience of a teenager in South Carolina, who showed up wearing makeup and androgynous clothing for a driver's license and was told to man-up for the license photo. It seems that your mileage will definitely vary. I received news from Tasi that the Sister House website has been revived! Billed as "Fashion and Beauty News for the Trans Woman," you can see it for yourself by clicking here. Nokie Edwards died Monday. He played lead and bass guitar for The Ventures. In my youth, the top two items on my "future career" list were (1) female impersonator and (2) lead guitarist for a surf rock group. My parents bought me an electric guitar and I bought a copy of Play Guitar with The Ventures, an LP that was supposed to teach me how to play a guitar like The Ventures. I managed to learn how to play "Pipeline" and the "Star Spangled Banner," but I spent more time learning how to impersonate a woman and eventually shelved my lead guitarist career. I also shelved my female impersonator career because it was not a "normal" career choice (I could have been a contender). 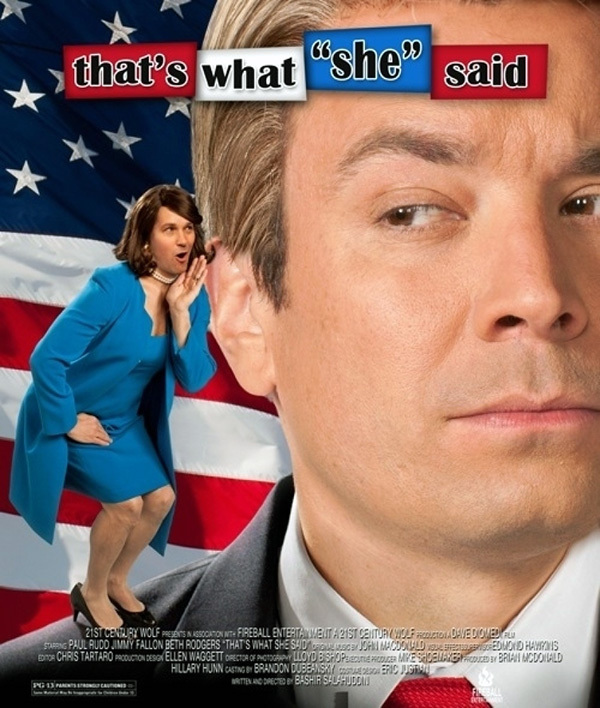 Paul Rudd femulating for a film poster parody. thank you so much Stana for the book plug! You are very welcome, Joanna! Do you have a reference citation for the photo of the stunning, tall, blonde with the flawless makeup. I would love to see more photos of her. Thanks, Stana. The photo shoot was captioned in Italian. The photos, the models, the layout of the ad was superbo. So sorry to hear about Nokie. Some of the music I grew up with. I had that same "Learn to Play" album but barely managed Pipeline. Of course I have very small hands and was using a rather thick necked acoustic which was very frustrating.